Mother. This one word brings so much to our mind. Love, respect, affection, tenderness...there is so much that we feel for our mother, don't we? 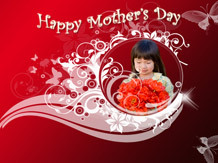 Here at TheHolidaySpot, we have brought for you splendid Mother's Day screensavers as wide in range. 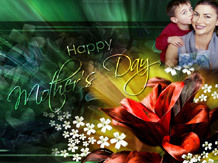 Explore through our wide assortment of mother's day screensavers, choose anyone you like and bring the theme of Mother's Day to your desktop. So what are you waiting for? Just scroll down and check out our fabulous screensavers. All of these are of high quality, and some of them even have poems. And the best part is, all of them are free to download. 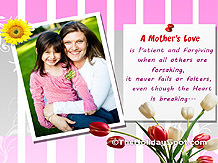 If you like our attractive Mother's Day screensavers, click here to refer this page to all your friends, and include them in your celebrations. 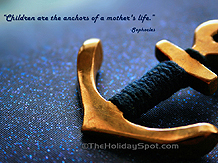 A very Happy Mother's Day to all of you (and your mothers) from TheHolidaySpot family! TIP: To de-activate , just right click on desktop, select properties-->screensavers, and deselect the active screensaver. 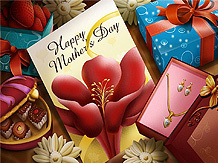 Explore thru a wide range of happy mother's day screensavers, and bring the theme to your desktop to join the Mother's Day celebration . All the savers are of the best of quality, and some of them even have poems. And the best part, is, all of them are free to download. Remember to send this site to all your friends, so that they too can share the site. 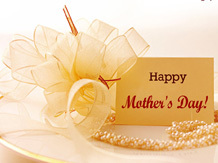 A very Happy Mother's Day! To de-activate, just right click on desktop, select properties--> screensavers, and deselect the active screensaver.